We offer several ordering options. 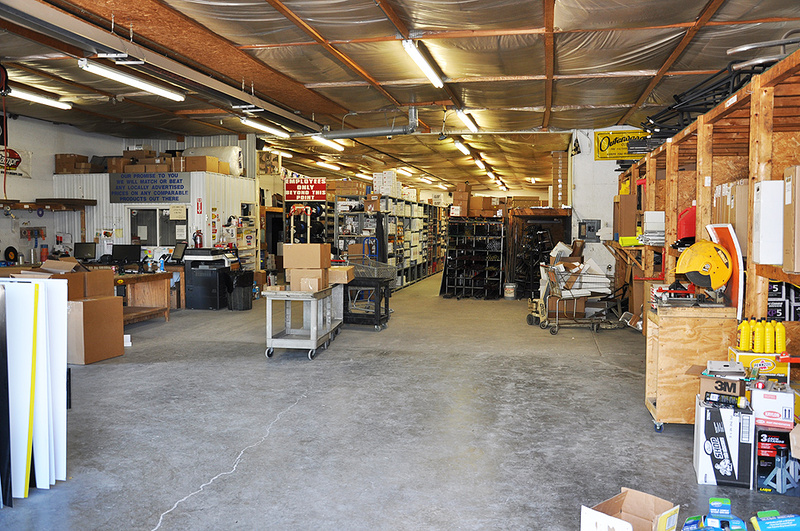 We have several dealers that carry our performance products. We encourage you to shop these dealers. If there is no dealer in your area, you can call us toll free. We will be happy to answer any questions you may have and take your order. Please include when ordering, the quantity and part numbers or descriptions and of course include your name, address, zip code and phone number. We accept Visa, Mastercard, Discover and American Express and if you choose to use a credit card please provide us with the card number and expiration date. Many times from February through September our telephones are very busy, making it hard to phone in an order, if you are able you can send us a fax at (304) 485.8038 or you can e-mail your to Orders or use the secure online ordering. Flat Rate Shipping offers will be sent USPS, UPS or Fed Ex Ground - Poske&apos;s choice and available to retail customers only. Flat rate shipping is restricted to orders not exceeding 1 box. Oversize or heavier items including, but not limited to tires, tubing and sheet metal may not be eligible for Flat Rate Shipping. Most items can be shipped USPS, UPS or Fed Ex on Request. Orders must be received by Noon to go out the same day for USPS or UPS or 2:00 PM for Fed Ex. We will do our best to ship your order the same day you place it and in most cases will be able to do so. However, due to the many forces affecting the carriers, we cannot guarantee delivery time. Those items that we are not able to ship USPS, Fed Ex or UPS can be shipped common carrier. All common carrier orders have to be paid for in advance of shipment. We have favorable rates arranged with several carriers and will be glad to pass the freight savings on to you. If you are unsure if your order is oversized or over weight please give us a call. See FedEx.com for all the details. This map illustrates service schedules in business days as of July 2015 for FedEx Ground Shipments. 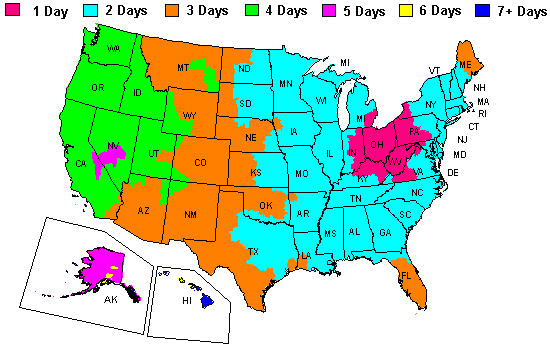 This map illustrates service schedules in business days as of November 2013 for UPS Ground Shipments. Please Note: Shippng, a business day does not include Saturdays, Sundays or holidays. The transit schedules provided in this Map do not include additional days required for customs clearance or deliveries in rural or extended delivery areas. Please feel free to give us a call regarding any pricing posted. 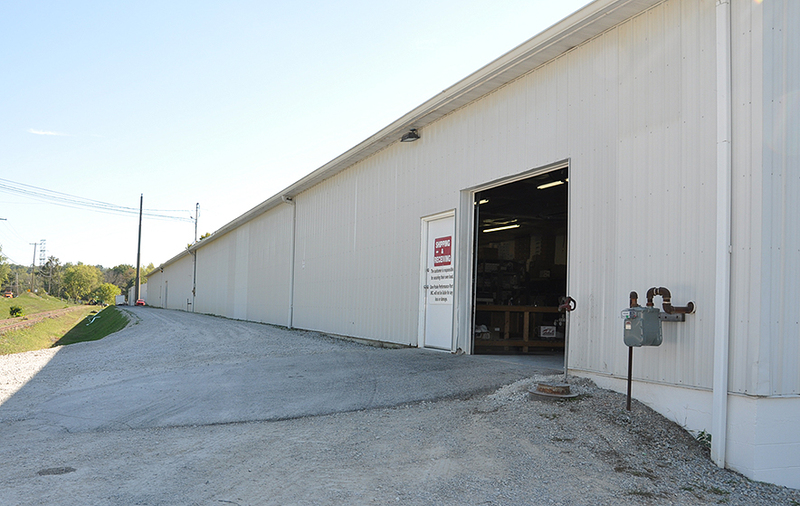 We have done and will continue to do everything possible to sell you parts at the most competitive pricing while at the same time doing our best to provide you with the level of service you deserve and expect and will always strive to do so. BECAUSE OF THE MANY MANUFACTURERS PRICE IRREGULARITIES AND FORCES BEYOND OUR CONTROL, OUR PRICES ARE SUBJECT TO CHANGE WITHOUT NOTICE.